What’s the Skinny on Fruit and Dieting? Posted October 18, 2016 by Ross Taylor & filed under Food Philosophy, fruit. Wondering where fruit comes in (or stays out) of your diet and weight loss plan? It can get a bit confusing these days. The reality is what whether or not you can eat fruit on your diet depends on what your diet is supposed to accomplish. If you are on a “high protein/low carb” plan – such as the Adkins or South Beach, fruit intake may be very limited during certain phases. Almost all other diets, however, recommend eating lots of organic fruit – and with good reason. In addition to being loaded with vitamins, nutrients and fiber (part of what makes them a low-glycemic index food** choice) – fresh fruits are also full of water – most being almost 90% water when all is said and done. **Not sure what that term, “Low Glycemic Index” is all about? Read Healthline’s, 10 Low Glycemic Fruits… to learn more. That being said, carbohydrates inherent in your favorite fruits can rack the calorie count up if you aren’t careful. So, we recommend learning to balance your daily fruit intake based on your personal diet and health goals. DO make it a point to prioritize organic fruits. Studies continually show that pesticides aren’t as easy to “wash off” as you’d think, especially since many of the chemicals are absorbed by fruit’s skin – where they settle into the fruits’ flesh…and are consumed by you. Not good. Always prioritize fruits and veggies that are certified organic or grown by farms that use pesticide- and herbicide-free, sustainable practices. If your primary goal is to eat a healthy, well-rounded diet, Harvard University’s Healthy Eating Plate is an excellent guide for the whole family. It’s based on the most recent research, including a 2007 meta-analysis study published in the “Journal of Human Hypertension” that showed adults who ate more than 5-servings of fruits and vegetables each day had significantly reduced risks of developing heart disease. Harvard nutritionists recommend that at least a quarter or each meal plate be devoted to our colorful fruit friends (typically about 1 ½ to 2 cups of fruit per day, or at least 1/3rd cup per meal). To get an idea of what your portions should look like, visit the Adult Energy Needs and BMI Calculator from BCM. This tool will take your gender, height, weight, age and activity level into account when calculating your BMI, establishing whether you are “at a healthy weight,” “overweight,” or “obese.” It will also provide information about your target caloric intake for maintaining that weight. If you are interested in losing weight, but do not feel blood sugar levels are an issue for you at this point (i.e. your doctor hasn’t said you are at risk for or have type 2 diabetes), fruit can certainly comprise a satisfactory portion of your diet. As we mentioned above, fresh fruit is full of water and fiber, both of which help you to feel full longer and are also good for digestion and your heart. For this reason, those interested in losing weight are typically fine leaving their fruit servings alone (eating plenty of fruits from all colors of the rainbow). Replacing seasonal ripe fruit for your favorite go-to, processed sweet cravings is a smart way to ditch extra calories and boost nutritional intake. Berries are at the top of any nutritionist’s “best fruit for weight loss list” because they are lower on the glycemic index and they are packed full of fiber – strawberries, raspberries and blueberries in particular. Another bonus? Berries are loaded with antioxidants, which help to fight free radicals that contribute to inflammation, cancer and other serious health conditions. Grapefruit. Yep, you’ve seen this on the plates of dieters for generations – and there’s a reason for it. Grapefruit is another low-sugar, high-nutrient plate filler – loaded with vitamin C. The key is to purchase ripe grapefruit, in-season, to get the most flavor bang for your buck. If you think you don’t like grapefruit, odds are you’ve never had a good one. Apples. At only about 100 calories per piece of fruit – apples are easy to take with you and eat on the fly – sans packaging. With the huge range of heirloom varieties available these days, do a taste test with the family and let everyone pick their favorite varieties. Finally, don’t neglect avocados. Yes, they are a fruit and they also contain some of the healthiest fat and oils you can find in a food product. Trying to reduce your fatty-meat consumption? Add avocado to salads, smoothies and alongside your eggs and you’ll be the better for it. If balanced blood sugar levels are a priority for you, you may have to shift your fruit intake just a bit. First, prioritize fruits that are on the low-glycemic end of the spectrum – including cherries, grapefruits, berries, prunes, apricots, peaches, plums, apples and pears. Sprinkling a little cinnamon on your fruit, smoothies and oatmeal can also help since cinnamon is thought to lower insulin resistance. Interested in adding a variety of fresh, seasonal and certified organic fruits to your meal plates and snack time? 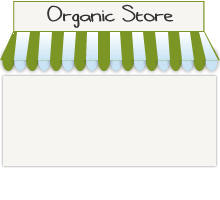 Visit Golden Gate Organics, load up your cart, and we’ll cheerfully deliver it right to your door.